If you are indeed a fashionista you must already know about Mr. Donald Robertson, the Head of Creative Development at Bobbi Brown Cosmetics and the genius artist that has been on the spotlight over ther last year. 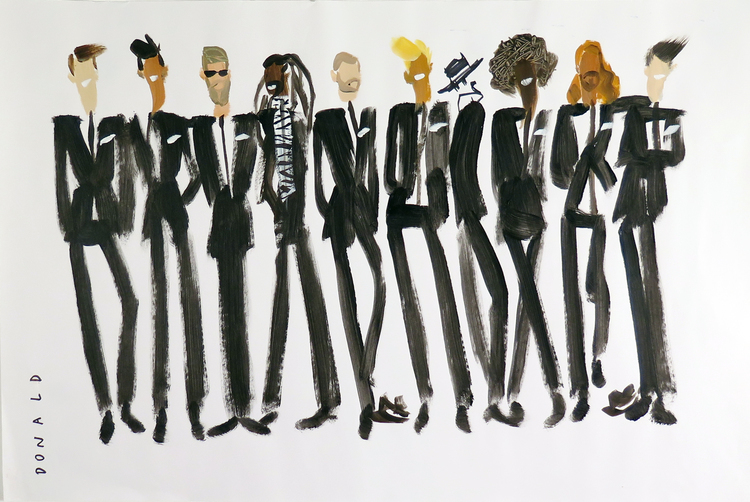 Donald Robertson's (aka Drawbertson) artworks are like an eye candy: funky, colorful and so much fun! It sometimes reminds me to the pop-art movement. It amazes me how he can draw, tape, build, or doodle on practically anything! I'm definitely saving up to score on of his pieces home.